A very senior Chief Marketing Officer at one of the largest telecommunications companies in North America leaned over my shoulder after someone mentioned the famed Gartner report at an event, and sighed, "if I hear about this report one more time, I am going to blow a gasket." Still, it is hard to argue that every business is now a digital business. We’re not just talking about the availability of that much more consumer information or data to help brands make better decisions and connect more powerfully with their consumers (you can read more about that in the last installment: What Keeps The Chief Marketing Officer Awake At Night? – Part 2), we’re talking about the actual infrastructure of the marketing department and what keeps it humming along. Are marketers still scared of technology? When we started Twist Image in 2000, the vision was to help the marketing community understand and embrace the power of the Internet. The timing was – somewhat – precarious. Back then, if the brand even had a website, it was being developed, handled and maintained by the IT department. As the commercialization of the Internet increased and brands began to understand the power of e-commerce, online ordering, social media and more, the best-in-class players extradited the website from the clutches of IT, but a lot had to happen for this to work. Back in 2000, it was common for marketing professionals to be scared of technology and the IT department (that being said, there are many marketers who still have their collective heads stuck in the sand), and the IT department didn’t trust the marketers with the technology (that being said, there are many IT pros who still don’t, and think we’re mucking it up pretty good). Fast forward to this date and things have improved, but we still have a vast chasm that needs to be collapsed. Can we get the CMO and CIO to shack up? You probably won’t find a CIO who doesn’t think that they need better alignment with the CMO, and the feeling from the marketers is mutual. As data and analytics take a more predominant role in business decisions, marketers are going to face a world where IT (both hardware and software) to operationalize the department of marketing is going to hit some exponential growth curves. The strategic partnership between marketing and IT. Here’s what we know: the social layer of technology is still running at full bore. Brands are diving deeper and deeper in the realms of digital marketing, and we are seeing the media dollars continue to shift (especially as mobile ramps up on advertising). From the TechCrunch news item, Digital Ads Will Be 22% Of All U.S. Ad Spend In 2013, Mobile Ads 3.7%; Total Global Ad Spend In 2013 $503B, on September 30th, 2013: "mobile is growing seven times faster than desktop Internet spend, with mobile ads growing by 77% in 2013, 56% in 2014 and 48% in 2015., driven by the rapid adoption of smartphones and tablets. Globally, internet advertising will grow at an average of 10% a year." Marketing departments are going to soon push beyond the data and media component as newer needs arise. Currently, we are seeing strong investment in technology companies that specialize in contextual marketing solutions. The wealth of information that provides marketing context now extends well past things like simple location. Because of smartphones and tablets, the ability to understand environment, emotion, culture and economic factors is here. Wearable technology and the Internet of things is only going to push this further. Yes, we have ten billion-plus wireless connected devices today, but it’s looking like that number will triple by 2020 to over thirty billion devices (more on that here: 10BN+ Wirelessly Connected Devices Today, 30BN+ In 2020?s ‘Internet Of Everything’, Says ABI Research). If everything that can be plugged in or has a battery is also online, just imagine the technology infrastructure that brands will require to better connect messages and products to their consumers? Technology has removed technology from technology. Look no further than the iPad for proof of this. A simple button to turn on and it works like electricity (switch it, and it’s on… no boot up time). Also, no instruction manuals. These devices are as easy to use as plugging in a lamp and flipping the switch (just slide to unlock). Because we have arrived at this inflection point, it’s safe to say that everything from cloud computing, personalization and localization are going to become increasingly more relevant for marketers to pay attention to. What this leads to is a world of marketing automation (yes, more IT and technology). What sounds like more buzzwords and a means to scare the professional marketer, is really just another way to say this: if the CMO does not become increasingly adept at IT and technology, they will get left behind. These tools, services and applications aren’t just engines to push advertising conversion in a more positive direction, they are quickly become core tools of the marketing trade. The technology can’t be stopped. 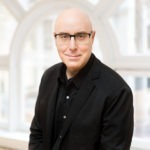 As the CIO’s role continues to evolve within the organization, the CMO must be deeply connected to the technological infrastructure that will be driving business results. It doesn’t take much more than some general sniffing around Google to see how profound and dramatic the infiltration of IT and technology in the marketing department has become… and how much more pervasive and important of a role it is going to play. The marketing function of an organization is a technology-driven one. That fate has been sealed. Now, we just need the marketers to accept, embrace it and work with it. What does this mean for media and communications? In the next post (in about two weeks time), we will look at how the Chief Marketing Officer is dealing with convergence, disintermediation and the massive shift from advertising as a means of producing revenue to a world of true business solutions (where advertising may just be one of the many mechanism that a brand will use to inform the public of something new and/or different). 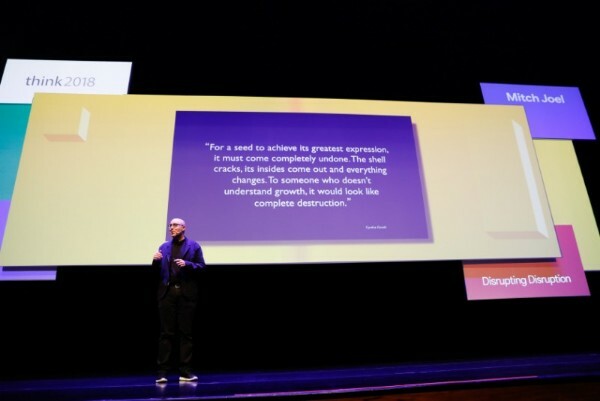 We will look at the transition to the one screen world (where the only screen that matters is the one that is in front of the consumer) to how CMOs have been at dealing with the signal to noise ratio in a world where content is both king and so easy to produce and distribute. There are five core foundational reasons why the Chief Marketing Officer’s role within the organization is in such a fragile state. Over the next few months, we will deconstruct the following five areas that the Chief Marketing Officer must pay increased attention to, in order to figure out what the next decade of marketing will look like for businesses. The corporate function (which you can read here: What Keeps The Chief Marketing Officer Awake At Night? – Part 1). Data and information (which you can read here: What Keeps The Chief Marketing Officer Awake At Night? – Part 2). IT and technology (this post). Media and communications (next post). Talent and recruiting (coming soon). Why Can't We Buy Everything Like We Do On iTunes And Have Access To Everything On Netflix? Love this line, “Technology has removed technology from technology.” and this goes to the core of why CMO’s/entreprenuers don’t sleep. With everything at our fingertips, it’s easy to get lost down the rabbit hole. Instead, as you suggest embracing IT in a partnership allows the best of both worlds. Technology and marketing are both advancing at the same pace in my book and I’m glad to have access to your writing to try to keep up!